It’s Reload Bonus time at Intertops Poker and Juicy Stakes Poker this weekend. A 100% October Reload Bonus is available at both poker rooms until this Sunday, October 8th, 2017. So, if you haven't already, it's a good time to enter the Aussie Tournament series (details below)! To claim your October Reload Bonus enter the Bonus Code as you make a deposit. Your bonus will be immediately available on your account. The bonus code at Intertops Poker is AUMILLIONS18. 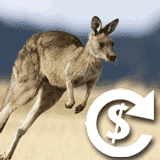 Juicy Stakes players should enter bonus code AUSSIE2018 when they make their deposit. 100% poker deposit bonus available until October 10, 2017. Reload Bonus details are available at Intertops Poker (https://poker.intertops.eu/en/promo/27-reload-bonus) and at Juicy Stakes (https://www.juicystakes.eu/promotions/reload-bonus). Intertops Poker and Juicy Stakes welcome players from all over the world. Each hosts Texas Hold’em and Omaha ring games of all stakes and levels as well as poker tournaments where players can win big prizes for just a small entry fee. Currently, the hottest tournaments on the busy schedule are the Aussie Tournament series which continues every Saturday and Sunday until the end of the month. $1000 GTD “Ripper” NL Hold’em tournaments with a $10+$1 buy in are held Sunday, October 8, 15, 22 & 29. The buy-in for $500 GTD “Sydney” tournaments held Saturday, October 14, 21 and 28 is only $5+$1. They’re played at 4:30 pm Australian Eastern Time.